Innovation and improvisation are Harlem’s calling cards. 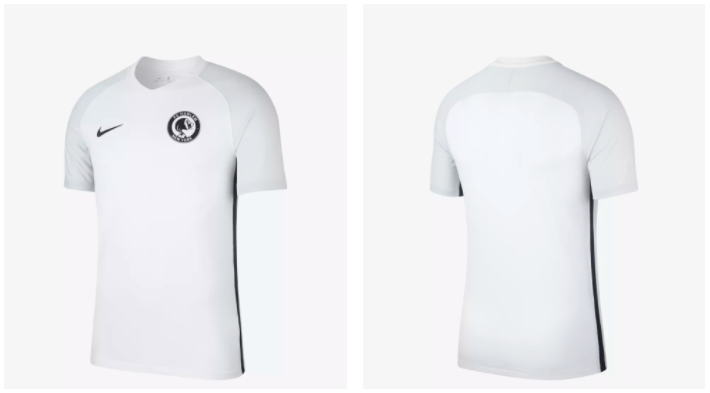 From the stage of the Apollo, to the concrete runway of 125th Street, to the hallowed grounds of the Rucker, it is the authenticity of this neighbourhood that forms the threads of the FC Harlem Kit. First designed as a traditional club shield, the FC Harlem logo was envisioned as a simple but strong mark that connected Harlem with the global football community. 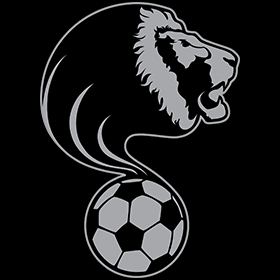 The sweeping lion’s head emanating from the football symbolises the confident, creative, fluid style of football that will come from our inner cities. Then and now, the emphasis has always been to pursue design that honours Harlem’s identity as a global leader in cultural creativity. 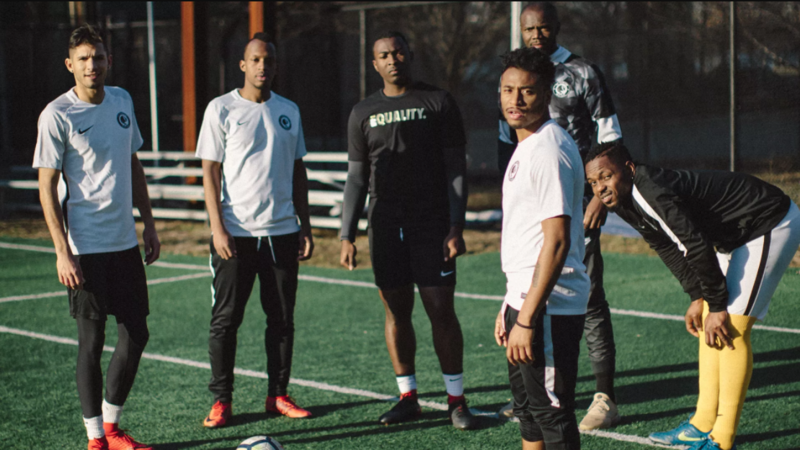 Established in 1991 with the goal of exposing Harlem youth to the World’s Game, FC Harlem has expanded upon this original mission to focus on developing future leaders on and off the pitch. The nickname L.I.O.N. means Leaders In Our Neighbourhoods. 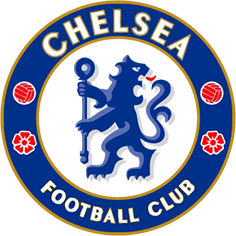 It is a statement to the club and community that the players who wear the badge are talented, confident, competent and caring and will positively impact the world around them. 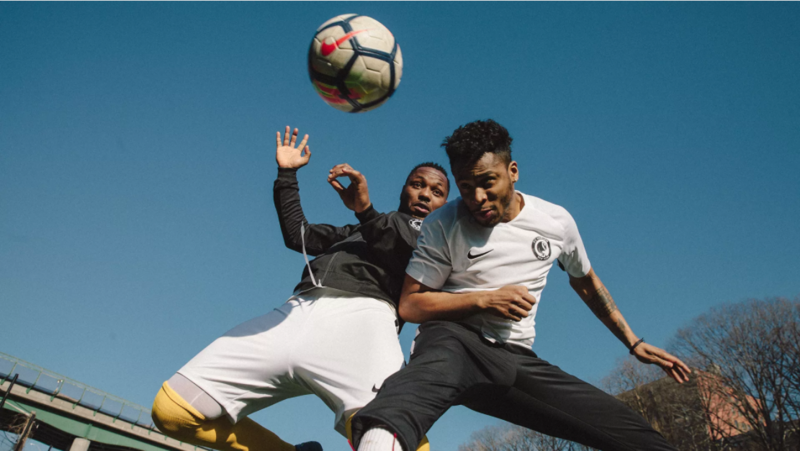 FC Harlem’s vision is a national project driven by its leadership and football philosophy to develop world-class players from the untapped inner cities of the United States. LIONS will lead the future.